We made every effort to ensure that this review was accurate and fair, but we’re only human. If you think we’ve got something wrong, or that the review does not reflect your own experiences with the product, we’d love to hear from you. Leave a comment below, send us an service@ top5-besthomesecuritysystems.com, or write your own review in the Customer Reviews section. Todd Pedersen founded APX Alarms in 1999, changed its name to Vivint in 2011, and it was acquired by Blackstone Industries for more than $2 billion in 2012. With a reputation for technological innovation and award-winning customer service, Vivint has close to 1.5 million customers and was ranked as Fast Company’s World’s 50 Most Innovative Companies in 2017. Vivint’s smart home security solutions and Vivint as a company have received praise from TechCrunch, Forbes, PC Mag, and was rated #1 for “Highest in Customer Satisfaction with Home Security System” by JD Powers and Associates in 2017. There are two tiers of pricing that start out at $39.99/month, which gets you monitoring and app usage. Equipment costs are separate and required. In order to get a true representation of pricing, you’ll have to contact the company for a price quote. There are services and add-ons available that will alter the price for a customized system. Therefore, expect to pay for additional equipment above and beyond what comes with your plan. In addition, installation can only be done by a professional. Because contracts are not month-to-month, Vivint is a better choice for homeowners rather than for renters. Vivint designs a lot of its equipment in-house, so they are able to pass on some cost savings to the customer as a result. But don’t be fooled; Vivint equipment is on the higher end technologically speaking, and you’ll see that reflected in their pricing. There is the option for financing, or you can purchase the equipment outright. There are only two contract length options: a 60-month contract or a month-to-month contract. Vivint’s basic equipment package comes with Vivint SkyControl panel, Vivint Sky app, 2–4 door or window sensors, motion sensor, professional installation, and 24/7 monitoring. A unique feature Vivint offers is that it has its own cloud-based smart home automation solution. It’s a system with centralized control, allowing remote access via a smartphone app, and it uses learning algorithms to automatically follow a user’s patterns of behavior. Vivint provides 24/7/365 monitoring, a free mobile app allowing remote access to your home, live two-way voice communication, event notifications, and historical event tracking. The Vivint system is wireless, and the Vivint SkyControl panel has a battery backup in case of power failure. Customers away from home are alerted to events through Vivint’s free mobile app, which includes severe weather alerts. Response time between a duress alarm and Vivint contacting local authorities is as little as 30 seconds. Vivint’s SkyControl panel is the heart of its monitoring system. It’s easy to navigate and connects seamlessly with the mobile app for remote control of systems. The app also lets you live-stream your cameras. One terrific feature is that you can see and talk to someone at your front door without being in your home, and you can even unlock your front door while videotaping the event. Another bonus is that Vivint can update your equipment’s software, so there’s no need for an on-site tech or to purchase new equipment. Vivint built its business on providing the personal touch and is widely recognized for its customer care. Help and support are available by toll-free phone, online chat, and a dynamic FAQ on the Vivint website. Customer and technical support are available Monday – Friday from 7 am – 1 am ET, and Saturday from 7:30 am – 12 am ET. Account and billing information is always instantly available online. Phone support is available Monday through Saturday. There is an email address for contacting Vivint. There is an available FAQ section for account support. When choosing a home protection system, you want a company with a reputation for outstanding customer service, state-of-the-art technology, and good value. These are the pillars that Vivint was built on. 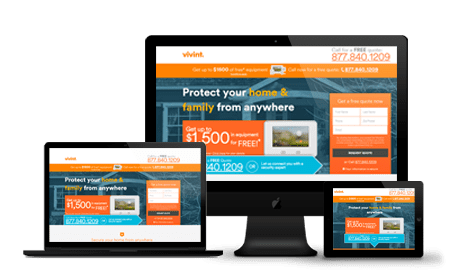 So, when doing your due diligence to find the best security system for your home, Vivint is definitely worth a close look. Whether you want a basic home security system or a more sophisticated one with smoke, fire, carbon monoxide, floods or freeze alert capabilities, Vivint has you covered. It offers customizable, comprehensive home protection and high-end wireless equipment. An Electronic Security Systems Senior Technician and an ex-military man, Kyle is best known for his solving complex problems skills. Always keeping busy, Kyle also loves sharing tips and insights online on home security, inserting public awareness on the importance of the subject.